Working remotely is quickly evolving from just a trend to mainstream norm. The Internet is faster and more stable than ever, with coverage that’s more expansive than any other time in history. This makes working remotely easy, convenient and 100% feasible. In fact, many businesses now have remote workers on their teams, regardless of business type and/or size. But what is a remote team exactly? A remote team is comprised of individuals who can – and often are – located anywhere in the world. So, in reality, remote team members may live in a different time zone, country or even continent. This results in teams with more diverse skill sets across the board, which trumps traditional office-bound teams. Tasks are evaluated and tackled from multiple different angles, and more ideas generated to solve problems. Unfortunately, however, nothing is perfect. A remote working environment is both a blessing and a curse to managers. On the one hand, it can significantly reduce company overhead and affords employees more flexibility in terms of resource access and time management. On the other hand, managing a remote team is no easy feat, and a multitude of issues must be addressed in order to keep teams operating like a well-oiled machine. Just a short decade ago, working from home used to be considered a luxury. Now, to many, it’s considered a deal-breaker. A report from the Bureau of Labor Statistics in 2015 found that 23% of employed individuals now work remotely. The percentage jumps to 46% for people who possess advanced degrees. This phenomenon is not limited to just the United States, however. A 2015 survey from PGI Global Telework found that 79% of knowledge workers now work outside the office, with 60% claiming that they would be willing to leave their current job if they could work at home for similar pay. As remote work continues to increase in popularity, businesses have no choice but to take notice. And in fact, more and more companies are now looking beyond the border to acquire talent and build virtual teams to complement their business goals and objectives. A study from Upwork – a major freelancing platform – found that nearly 63% of companies now employ remote workers. What does a business gain by having remote employees? And depending on the business and industry, the benefits of having a remote workforce are far too impressive to pass up. If your entire team is working remotely, there’s no need to have a physical office. This cuts down significantly on overhead, especially in areas like New York City, where purchasing real estate is unattainable and market rents are sky-high. Working remotely also cuts down on commuting costs for employees, as well as hardware and equipment costs, utility costs and other miscellaneous services that you would otherwise need to pay for to keep the workplace operational. Beyond the fixed costs associated with your office, however, there will be fewer unscheduled absences, which will save you a lot of money in the long run. According to PGI, companies that allow telework see a 63% reduction in the number of unscheduled absences. That saves these businesses approximately $1,800 per employee, per year. With a remote team, you are no longer restricted to a geographic location when it comes to hiring. Traditionally, when you’re looking to bring someone new on board, you’re stuck sorting through a local talent pool, which can be somewhat limiting. After all, there are only so many people who live within a commutable distance. And there are going to be even fewer people who have the skill set and experience you’re looking for. You can then compound these headaches with the fact that you’re competing with other businesses for the same exact talent, and bigger businesses will often outbid your offers. Or worse, you just can’t find someone with the right set of skills and have to settle for less. By embracing remote workers, you open your business up to a world of talent – and possibilities – since you’re no longer shackled to a limited talent pool. Need a new UI for your SaaS? You may end up finding an amazing UI designer in Spain to help. Need a graphic artist? Someone based in Canada with 15 years of experience in your industry may be just who you need. Being able to work remotely is a perk that many people appreciate. And by offering an incentive like this, you’ll find that more often times than not, your employees will work even harder. Why? Because they want to maintain such a favorable working arrangement. This results in a net increase in worker productivity for you. Not being confined to a set location, time and schedule also means your team members are less likely to be distracted by office politics, water cooler chatter, and smoke breaks/lunch breaks that last much longer than they should. A major concern of HR managers and business owners alike is employee turnover. It can be extremely costly when business operations suddenly grind to a halt following the departure of a key employee. In fact, a recent study found that for jobs that require specific skills, a single turnover can cost a business at least 21% of that employee’s salary. At the end of the day, people love having flexibility. By working remotely, they are no longer confined to a fixed schedule. This arrangement also eliminates time wasted on commuting and creates a scenario where schedules can be more flexible and workloads proactively adjusted. The end result is happier employees. After all, it’s not like anyone actually enjoys sitting in traffic or hopping on buses and metro cars. Online-chat rooms and project management platforms like Asana make it easy for everyone to engage with their jobs – and each other – so that productivity doesn’t suffer. Eliminating commuting also gives them more time in their day to pursue hobbies outside of work, as well as spend more time with their family and friends. Better work/life balance results in happy employees. 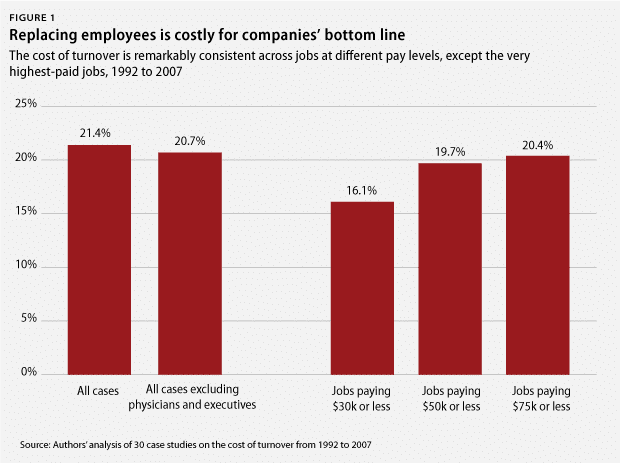 And happy employees are less likely to search for a better opportunity with another company. By offering telework opportunities, you can cut down on employee turnover, which will save a lot of time and money. Working remotely offers many advantages, but there are also certain shortcomings you need to be aware of. One of the biggest challenges of working with people remotely is differences in time zones. For example, what if your business is located in Virginia but one of your team members is in Australia? This type of time difference can – and often is – difficult to manage. Variations in time zones can lead to communication problems and erode trust, which can put unnecessary stress on your team as a whole. It can also make it difficult to schedule virtual meetings and conference calls. Having a diverse team is great since there will be an almost limitless amount of ideas and solutions. But you have to keep in mind that this diversity comes at a price, and there may be cultural differences. A person’s behaviors are driven by their personality. And personality is derived from the culture, customs, and traditions of where people live. Different cultures have different work ethics, expectations, and standards, which can make it easy for people to misunderstand each other. For example, a joke or a satirical remark made by an American employee may be an offensive insult for someone who lives in the Middle-East. What started as a joke may turn into full-fledged conflict in a matter of seconds. Misunderstandings and miscommunications can cause friction within teams. So be sure to take note of your employees’ cultural backgrounds, and work with them to resolve any misunderstandings before they escalate into issues that are beyond repair. In a remote working environment, your employees will rarely have the chance to meet face-to-face, if ever. Body language is also lost during interactions since most communication will be via chat or the phone. This lack of face-to-face communication is detrimental to company culture. Your employees will only get to know their co-workers as “that person I work with on the Internet.” There will most likely never be bonds or relationships formed if you don’t proactively cultivate it. While not identifying with a company’s culture is not a big deal in the short term, it can lead to lower morale and less loyalty in the long term. The absence of team – and company culture – can cause teamwork and coordination amongst employees to suffer. Imagine working at a company where you don’t feel like you belong. In the long run, insufficient face-to-face communication can cause rifts between your employees, and even you. When left unsupervised, there’s no surefire guarantee that people will do their jobs to their best ability. For example, what starts as something insignificant, like sending emails with no subject, may later escalate into not sending emails and responses to other team members at all. Managing employee discipline in a remote working environment is tough since you’re monitoring many people at once and have to rely on emails and messages to keep tabs on everyone to ensure that end goals and objectives are being met. As such, it may be difficult to spot when an employee’s discipline is lacking if it’s something small. A lack of discipline is something that you need to address immediately, however, since its impact on both the coordination and collaboration amongst your employees is immense. And unfortunately, if you don’t catch it in time, a single employee’s lack of discipline can influence the entire group’s behaviors and cause them to become less disciplined as well. If you’re pulling your hair out trying to manage a remote team, you should know that you are not alone. For every company that has succeeded in building an effective remote workforce, there are at least 3 companies struggling to make it all work. As mentioned above, if you let your employees try to manage themselves, it’s going to get hectic quickly. What you need to do is establish clear guidelines on how to communicate within the team. The communication channel that your team will be using. For example, designate Skype to be the team’s default chat tool. Clear standards for email subjects content, length and use of attachments. Monitoring mechanisms for your email and messages. Or if you can’t find a suitable tool, hire an assistant to keep everything in order. A working schedule with detailed information on response times, turnaround times, deadlines and milestones. Having a Code of Conduct in place allows you to set boundaries for your employees. When working with other remote workers, they should respect their differences and collaborate to solve any communication problems quickly and efficiently. At the end of the day, your team has one common goal: to further business goals and objectives. It’s important to remind them of this. You should also study everyone’s backgrounds and notate any potential problem areas as it relates to other team members and company culture. Then, include all of this in your Code of Conduct. With established guidelines in place, your employees will know what they can expect – and what is expected of them. Maintaining visibility and transparency is important because it teaches accountability. By tracking the progress of your projects and keeping everyone on the team informed, you’ll avoid bottlenecks. Employees who have a clear understanding of their roles and responsibilities are also less likely to engage in blaming and shaming. As a result, there will be less friction. Communication is one of the most critical components of working remotely. Thankfully, sometimes just using common sense is all you need to do to keep communication clear and effective. Using a neutral tone in your communication and avoid sarcasm, satire, or offensive jokes. Taking the time to learn about your employees. Keep track of their time zones, their countries’ holidays and special events like birthdays and/or celebrations. Keeping word choices simple. This is especially important if you are communicating with someone whose native language isn’t English. Be patient and keep your cool when communicating with everyone on the team. Set up work notifications that are effective but not invasive. Most people aren’t going to appreciate you sending them a message to fix something in the middle of the night. Respect different cultures and embrace diversity. Avoid using stereotypes. They aren’t accurate, and most people really dislike being associated with certain stereotypes. As your business – and remote team – grows, you’ll start to notice that emails just don’t cut it anymore. After all, it can easily turn into a full-time job just to keep track of everything if you’re receiving hundreds of emails and messages a day. If you are struggling to stay organized and/or keep up, here are some management tools and resources to consider. Skype – This one probably doesn’t need an introduction since it’s the most popular chat tool out there. Google Hangouts – This is a great alternative to Skype. It’s free, fast, reliable and works on both PC and mobile devices. Appear.In – This is one of the easiest voice chat platforms to use. You don’t even need to sign up to use it. Talky – This is similar to Appear.In but for group chat. Zoom – A web conferencing platform with a plethora of tools for video conferencing, hosting online meetings and managing group messaging. Gotomeeting – A professional and easy to use online meeting software. Flock – Flock is a messaging platform that helps online workers connect and collaborate in real-time. Discord – A chat platform that is best for always-on team chat. Project Management tools are essentially like an online office for your team. You can track your progress, emails, messages, goals, and deadlines here. These types of platforms are especially useful for large teams, and in businesses where collaboration between multiple teams/departments is required. Asana – Asana is the market leader when it comes to project management software. It provides a wide array of tracking tools and notification systems to keep workflows streamlined and organized. Trello – This platform is simple and straightforward. It’s a great alternative for Asana, especially for smaller teams. ProofHub – ProofHub offers a basic project management suit that can also be integrated with with other apps like calendars, Basecamp and more. Monday – Monday allows you to plan, organize and track your work in one visual and collaborative space. Airtable – Airtable segments your workflow into blocks that you can mix and match to organize your project. Teamwork – Project management, help desk, and chat management in one compact suite. TeamGantt – TeamGantt helps you plan your projects by dragging and dropping tasks to create a gantt chart. A calendar application allows you to track project timelines and events. It’s like a regular calendar, just with more options for tracking. Apple’s iCal – This is the default calendar for all devices using iOS. It’s simple to use and covers all your needs. Google Calendar –This one is pretty self-explanatory. The real beauty of it is that you can create and edit events, as well as share access to specific calendars to everyone on the team – or just certain individuals. Edo Agenda – This is an all-in-one time management solution for your team that has an easy to use, intuitive UI design. Fantastical –This is a smart, convenient and flexible calendar application for the Mac OS. Any.do – An award-winning calendar app that helps you stay organized and get more done. Etar – A simple, free and open source calendar management app for Android devices. BusyCal – This is one of the most reliable calendar apps for iOS. It is similar to iCal, but with more features and customizations. Microsoft Outlook – This is the default email client from Microsoft, and probably the most popular (and widely used) option. It’s fast, effective and well-integrated with the Microsoft Office suite. Thunderbird – Thunderbird is one of the more popular alternatives to Outlook and provides many useful add-ons that’ll save you time, and subsequently, money. Zimbra Desktop – While this email client is only available for PC’s, it connects with social media sites like Facebook and Twitter, which is extremely popular with Millenials. Gmail – Google’s email client that can be used in conjunction with other Google services. Spark – An email management app on iOS devices, it prioritizes your email and highlights the important messages. Airmail – A lightning-fast email client for iPhones and iPad with an intuitive design. Polymail – A traditional email app for iOS with a sleek and clean interface. Edison Mail – It has a clean and modern look, with a personal assistant that helps organize your inbox and subscriptions.